Chocolate Fudge made using a traditional recipe. 4 oz. per stick, 3 sticks. 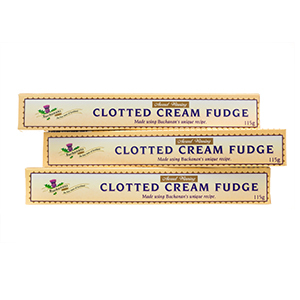 You'll be glad there are three sticks when you taste this classic sweet Chocolate Fudge as you'll want more later! 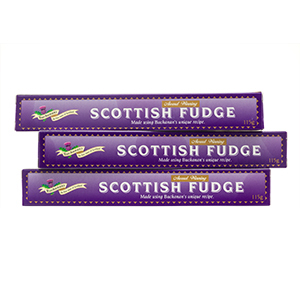 Made by Buchanan's of Scotland, makers of sweet confections for over 100 years on the Greenock banks of the Clyde. 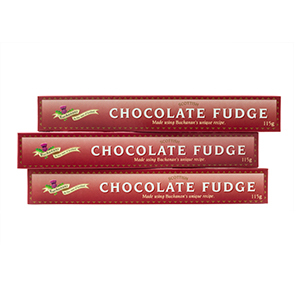 Each 4 oz stick of fudge breaks into 12 bite size pieces. Set of three sticks. Ingredients: Sugar, Sweetened Condensed Milk, Corn Syrup, Vegetable Oil, Butter, Cocoa Mass, Salt, Emulsifier(E471), Soy Lecithin.